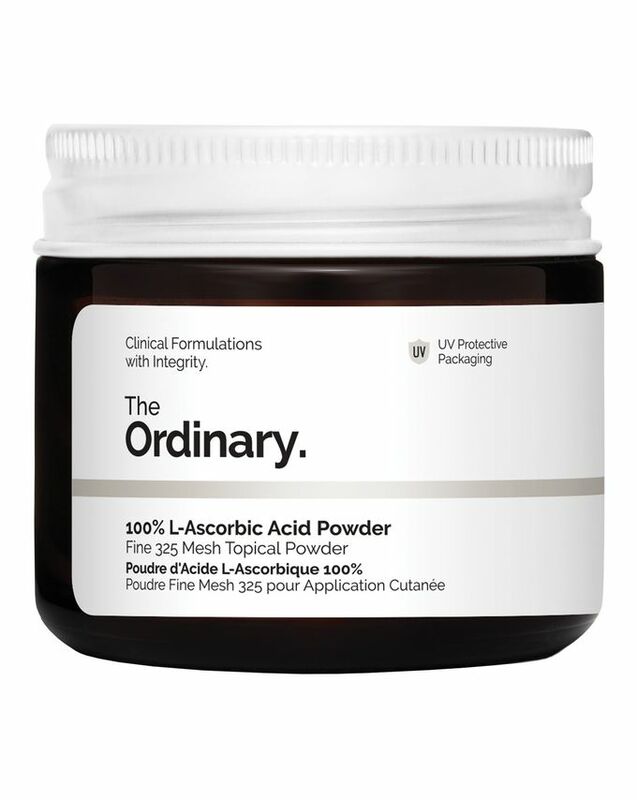 Stripping back unnecessary packaging and misleading ingredients, The Ordinary offers an abundance of brilliant, high-performance products – but the brand has outdone itself with this innovation. Ladies and gentlemen, meet your skin’s new best friend: vitamin C powder. 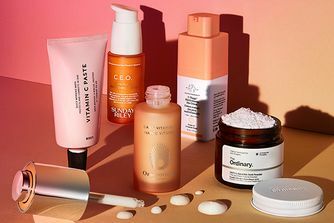 Vitamin C has long been exalted for its brightening, skin-unifying, age-defying powers – but it’s often difficult to keep stable and effective. That’s why this ultra-fine powder is so good, as it provides the most direct exposure of extremely high concentrations of vitamin C topically. Expect a strong tingling (but non-irritating) sensation as your skin adjusts in the first 1-2 weeks. As most skin care buffs will know, vitamin C is an effective antioxidant that brightens skin, evens out tone and reduces signs of ageing. A suspension of very fine L-Ascorbic Acid powder, this formula provides the most direct exposure of extremely high concentrations of vitamin C topically. This extremely effective method visibly targets the appearance of uneven skin tone, dullness and other hallmarks of ageing. The powder can be mixed with other treatments (except those containing niacinamide or EUK 134) so it will slot in perfectly to any ritual. With this format, a very strong tingling but non-irritating sensation is to be expected during the first 1-2 weeks of use while your skin’s tolerance to vitamin C is elevated. Mix a small amount with other treatments in the palm of your hand and apply to face in the AM or the PM. A tingling sensation can be expected after application. Do not mix with formulations containing Niacinamide or EUK 134. If topical Vitamin C is used as part of skin care, it should be applied at alternate times with EUK 134 or Niacinamide (ideally Vitamin C in the PM and EUK 134/Niacinamide in the AM). Otherwise, EUK 134/Niacinamide can affect the integrity of pure-form Vitamin C (L-Ascorbic Acid). I noticed no difference to my skins brightness, this product caused my skin to get red burns maybe? Like patches of sore red skin. Very irritated. Very drying even on my super oily skin also smells gross if you don't wash hands straight away. Smells like meat. Also leaves an orange tinge on my fingers! Thought it was rust! Very sad as heard such good things! One word: dermatitis. Even if used in a tiny amount and mixed with a soothing cream, oils or vitamin E. Odd because I haven't had this reaction from any other vitamin C products. Warning- this really messed up my skin. I bought this and used it mixed with my moisturiser and with other ordinary serums- yes it tingles (felt more like small needles pricking my skin) and I ignored it because you are to expect that. Well i carry on and it completely dried out my skin (jaw/chin area) to the point that it looked like small burns in 2 areas and the rest completely dried out and rough (pumice stone rough!!) and you know how foundation sits on dry skin, right? So I’m basically looking like some kinda zombie waiting for my skin to heal up- not happy at all. My skin can be a tad sensitive, it’s mostly oily in the t-zone- be very careful, ladies! This is really helping to dull my acne scars and is slowing resurfacing my skin. 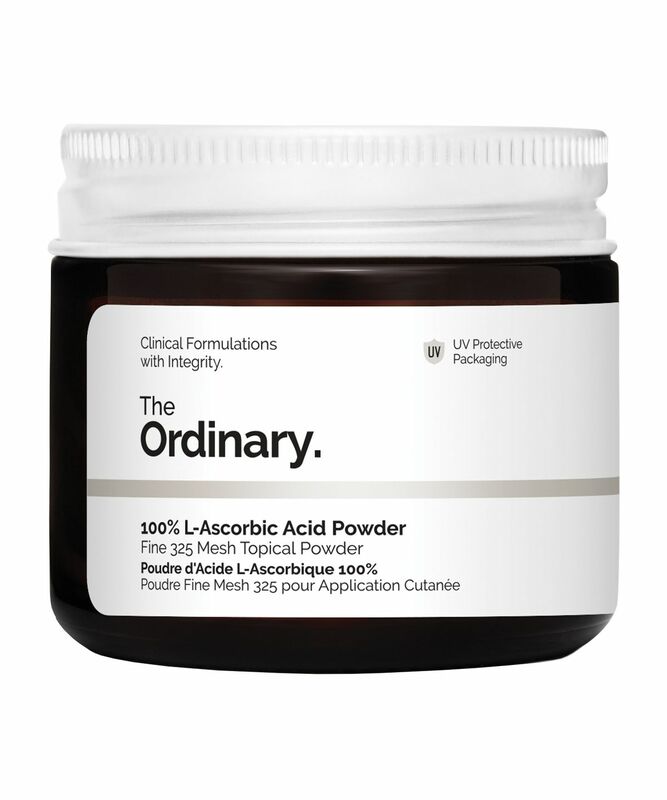 I mix a small amount with the Ordinary's hyaluronic acid in the pm, after showering. I look forward to seeing the improvements the next morning and am rarely disappointed. I loved this product, though a little bit goes a long way. I would recommend mixing into your usual facial moisturiser to make your skin glowy and radiant. Лицо светится здоровьем. Небольшое количества порошка смешивала с кремом (утром и вечером). Моментальный эффект: кожа выглядит сияющей, здоровой. Очень довольна. "The face glows with health. A small amount of powder mixed with cream (morning and evening). Immediate effect: the skin looks radiant, healthy. Very satisfied." A small amount of this powder added in your face treatment really do the difference. Aaaand you can also add a small pinch in your body cream like I do! The skin of my legs looks fantastic and seems to me that my cellulite looks less visible. Super! Excellent product for it's pice and it does work as well. I've been using this mixed with face creams or face oils. Honestly, it has helped brighten up just the red patches left by old spots. I pre-mixed a batch so I could take it when travelling - I know the powder is kept in a UV safe container but I thought it would be okay for a short time. It was not! It went yellow then orange and even when I was using it when it hadn't changed colour yet my face broke out in loads of little bumps. It's annoying because I'd rather not take the whole container with me travelling. So it does work but please don't pre-mix! Best vitamin C product I used so far. Improved my pigmentation on my forehead plus my skin looks great. It's quick and easy mix with Vit E oil . I only apply at night so far so good. Leaves an orange tinge on hands. I'm not sure how I feel about this product, the powder chunks up and the dispensing of it out of the jar is quite messy. I've been mixing this in with an avene hydrating serum at night but I haven't really seen any immediate results as what I've seen with the Clinique Vit C sachets. Also, when I don't wash my hands straight away, the next morning my palms have an orange tinge like what you'd get if you applied sun tan lotion which I found really surprising. This product has a lot of rave reviews so I do want to persist with it but so far I'm not too impressed. I guess it mostly depends on which cream you mix it with, but so far I'm so glad I give this a try. Just a bit less then the full little spoon (that comes in the package) is enough for the whole face and neck. It mixes easily and quickly, tingles a little when you apply it, but only lasts few seconds then my skin is smooth and glowing, ready for the day to come! Thank you Claudia for the tip, I'll try to mix this into my legs cream too! I have used Vitamin C 23% and thought I'd try this next, and mix it in with the Ferulic. Very little powder is needed to turn it into a milky paste. I prefer this one so far, as it doesn't sit on top of my skin like the other Vit C 23% suspension. I was getting great results with this. I was using it mixed with my usual moisturiser in morning. Then I started using it at night. After a few days I woke up one morning to find the skin just below my neck covered in eczema. It did not affect my face in this way. After a few days, I began using it again in the mornings but found it caused eczema on my neck. I do hope to use it again but I'm a bit wary.